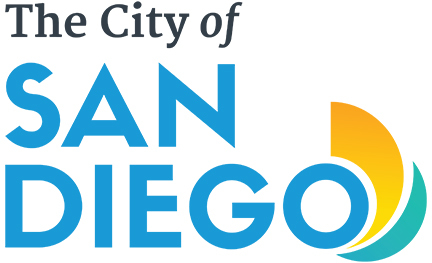 From coastal areas north of downtown San Diego, follow Interstate 5 southbound. Exit Interstate 5 at Front Street (Exit #17), following the signs onto Front Street. Follow Front Street south for 0.5 miles. Turn left (east) onto Broadway, following Broadway for two blocks. Turn right (south) onto Broadway Circle. Underground valet parking for the Spreckels Theatre is on the right-hand (west) side of the street. Additional underground self-parking is available at the NBC 7/39 Building, 225 Broadway. Follow Broadway Circle around to the front of Horton Plaza Shopping Center and enter the NBC 7/39 Building underground parking on the left. From coastal areas south of downtown San Diego, follow Interstate 5 northbound. Exit at Sixth Avenue (Exit #16B), turning left (south) off the exit ramp, following Sixth Avenue for 0.5 miles. Turn right (west) onto Broadway, following Broadway for four blocks. Turn left (south) onto Broadway Circle. From east of downtown San Diego, follow California Highway 94 westbound. At the end of California Highway 94, follow the signs to F Street, following F Street west for 0.6 miles. Turn right (north) onto Seventh Avenue, following Seventh Avenue for two blocks. Turn left (west) onto Broadway, following Broadway for five blocks. From inland areas north of downtown San Diego, follow California Highway 163 southbound. At the end of California Highway 163, turn right (west) onto Ash Street, following Ash Street for 0.5 miles. Turn left (south) onto Front Street, following Front Street for four blocks.